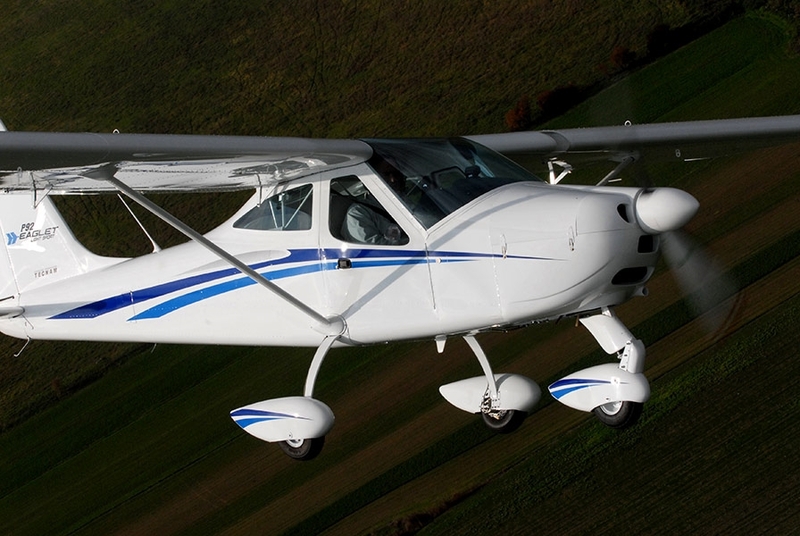 The Tecnam P92 EAGLET is a high wing, two place, single engine airplane equipped with tricycle landing gear. 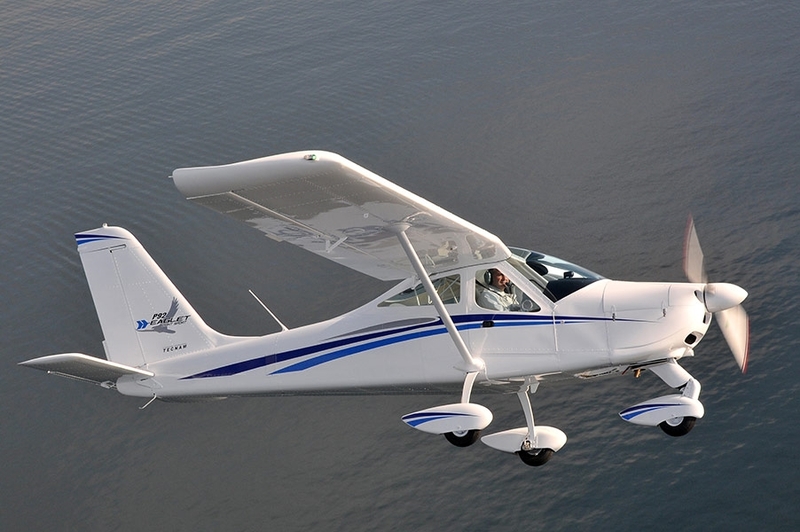 The EAGLET is the plane for fun, while enjoying beauty inside and out. 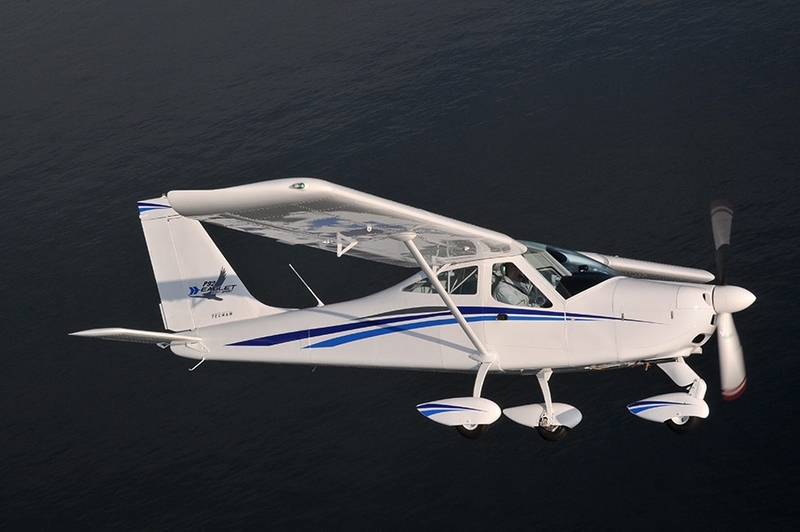 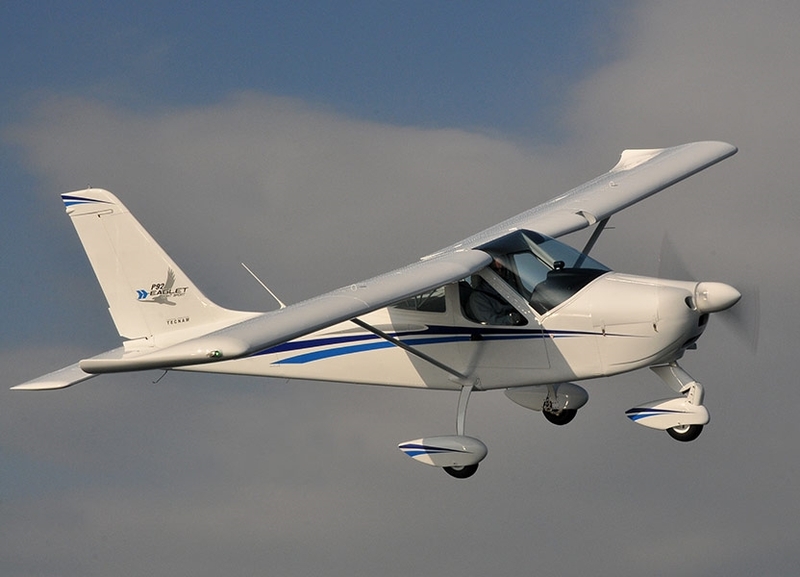 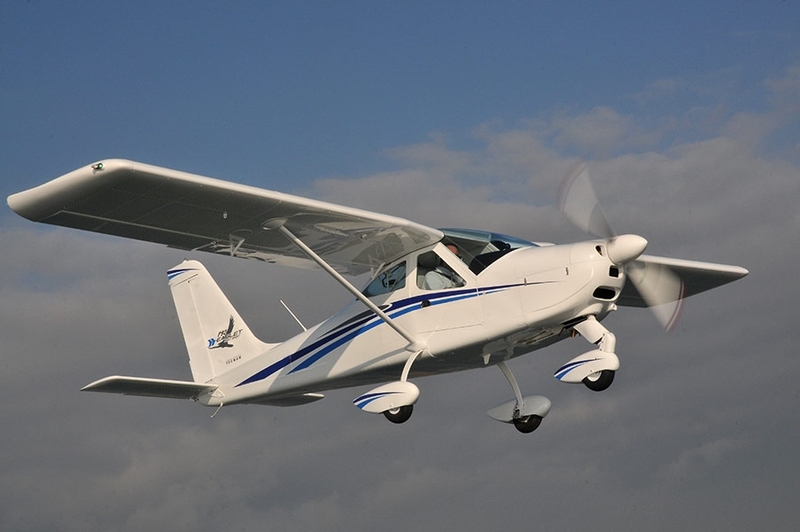 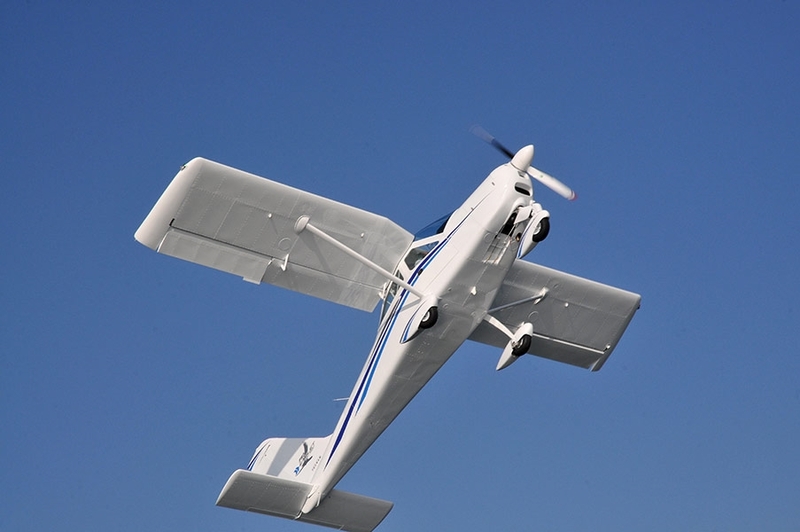 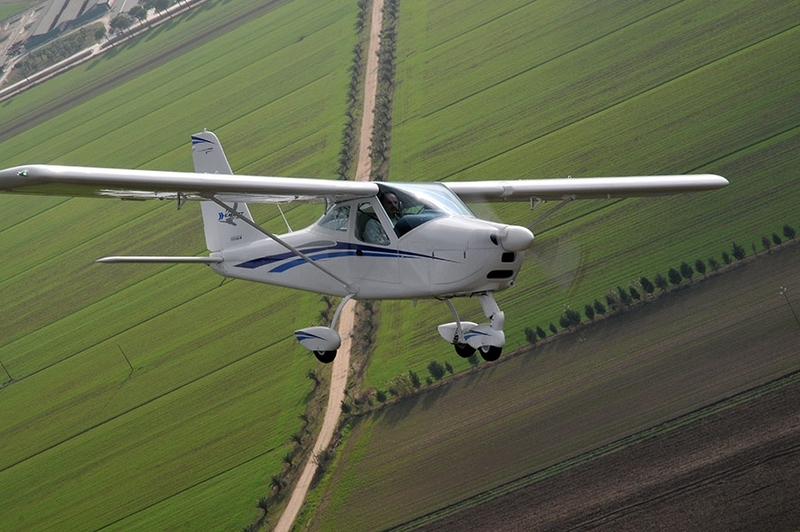 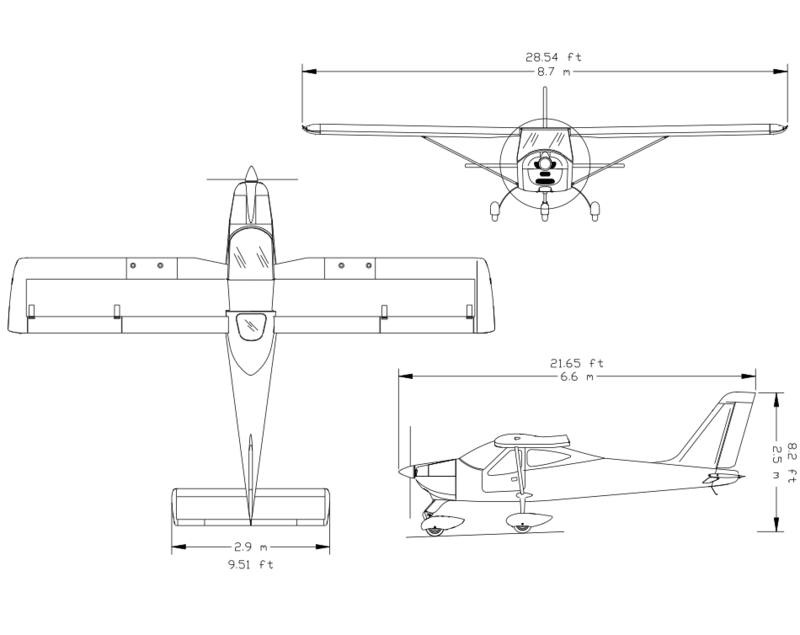 Using the proven P92, (an all metal, two seats, single strut braced high wing aeroplane, as the base platform) and paying particular attention to the needs of the new American LSA category, Tecnam has delivered the best high wing training and cross country aircraft to date in the light general aviation category. 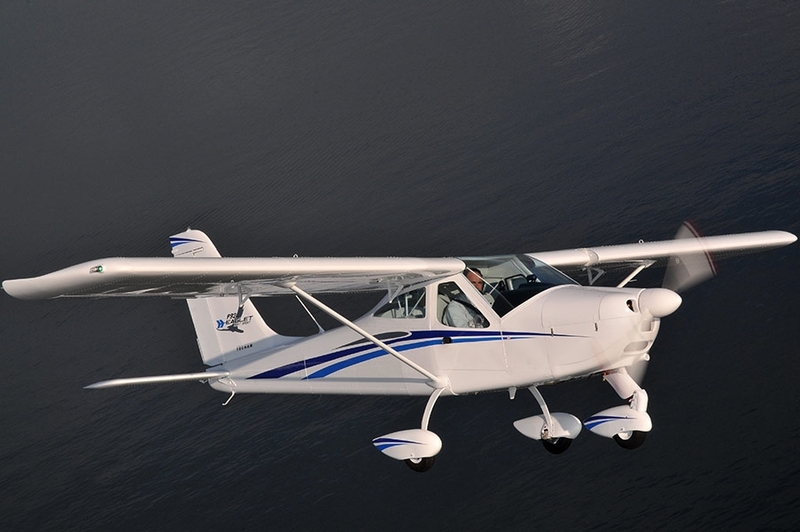 The Eaglet combines the best features of their existing high wing aircraft line merged into a single platform. 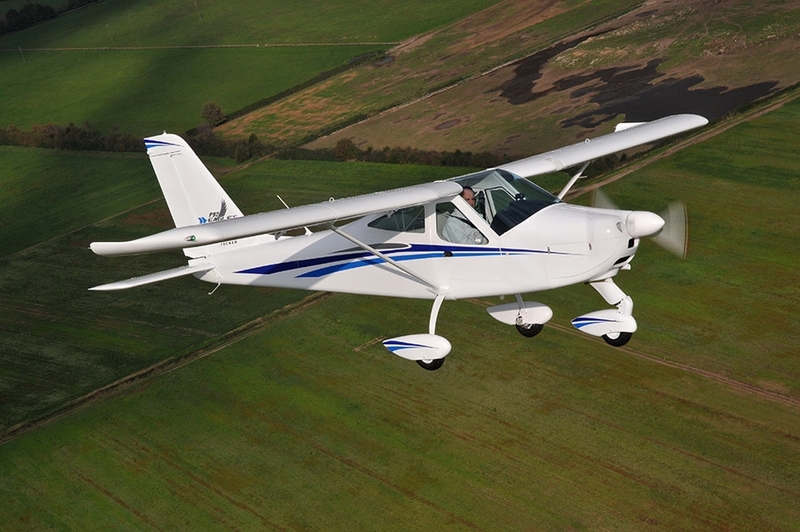 The Eaglet’s increased side visibility, smooth aerodynamic lines, a low profile modular panel able to accommodate a wide range of avionics, while still maintaining excellent visibility over the nose, a trait of all TECNAM models. 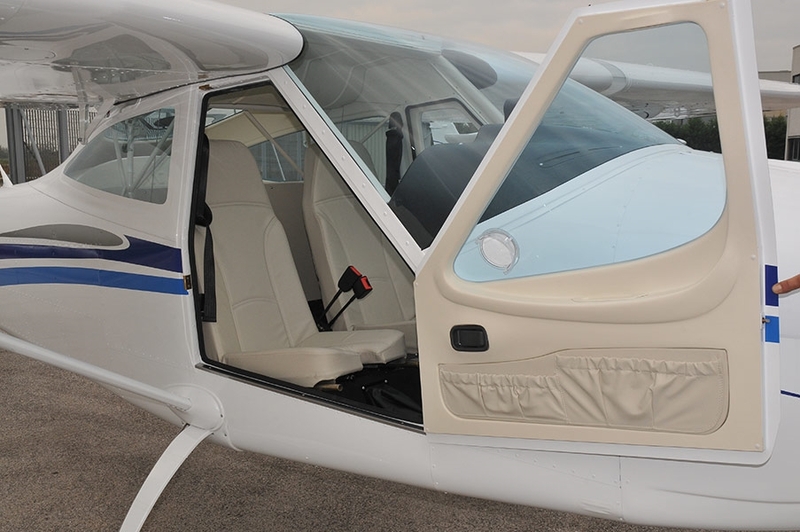 The doors which are lined with automotive type door seals, seats that give full support with excellent leg room, side map pockets as well as pockets in the back of the seats all combine to make the Eaglet a very comfortable aircraft. 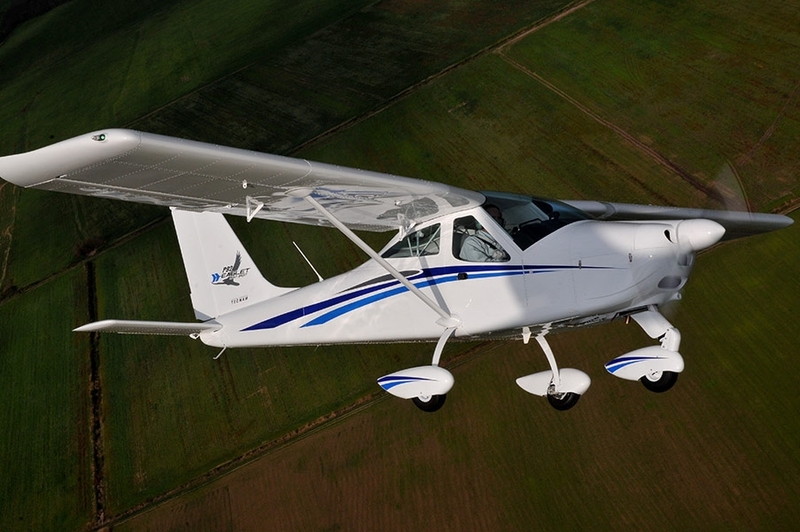 Some of the advantages: Superior performance and flight characteristics. 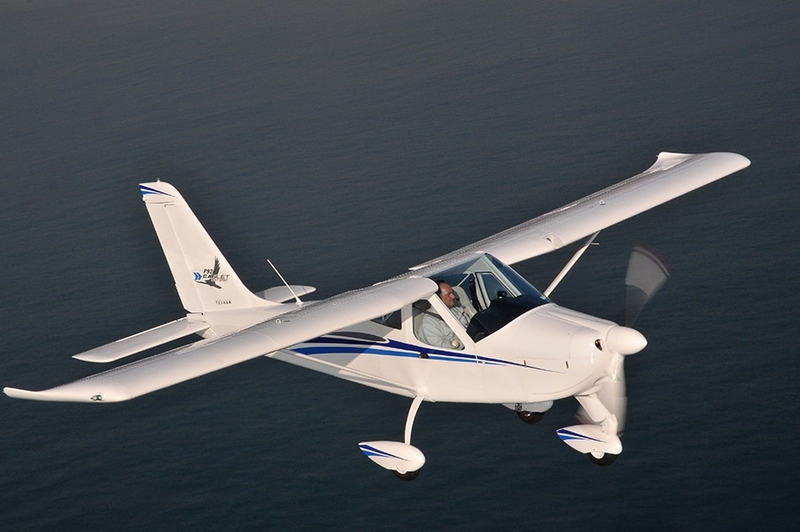 Low stall speed with excellent response at all speeds. 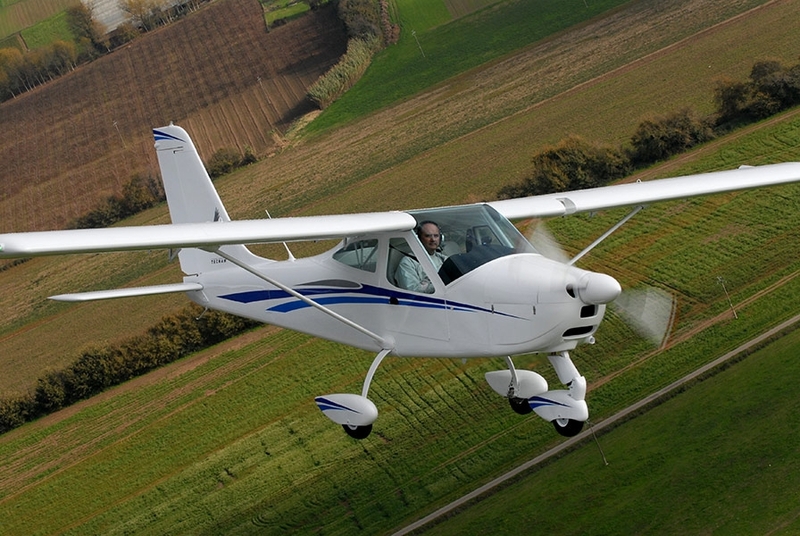 Stable and Responsive with uncompromising build quality (based on CS/VLA certified Aircraft). 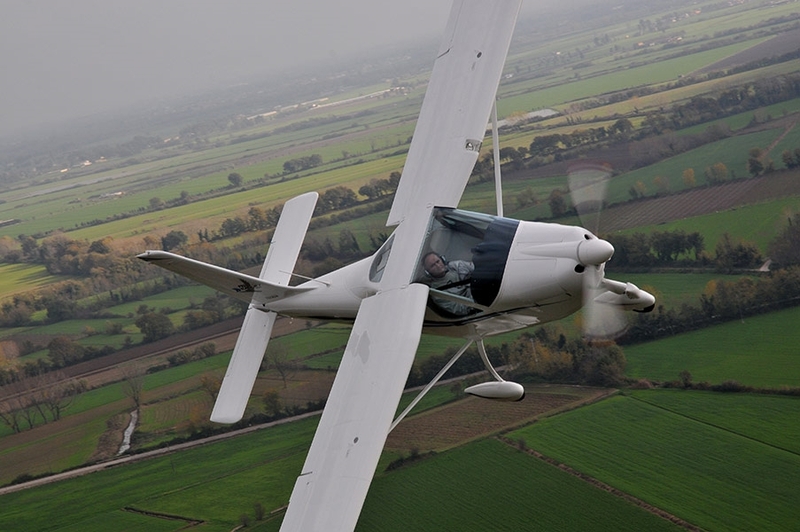 Excellent visibility, roomy, quiet and ergonomic. 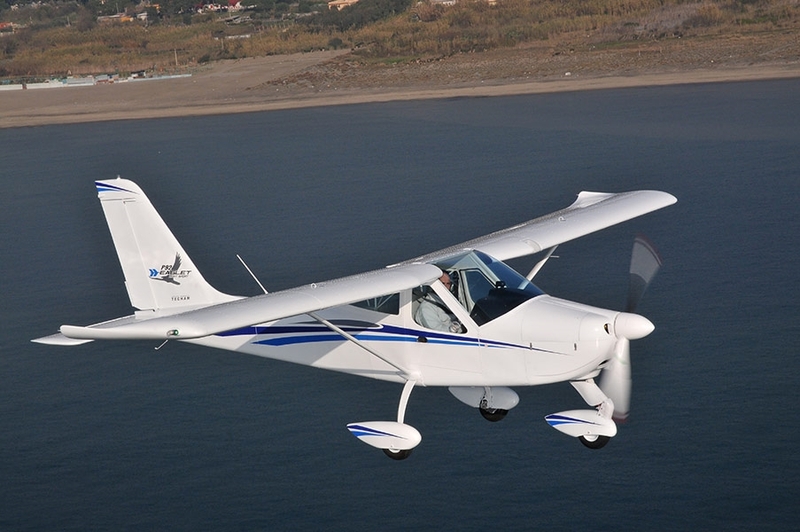 All this makes the Eaglet the natural choice for discriminating buyers of all ages and levels of flight experience. 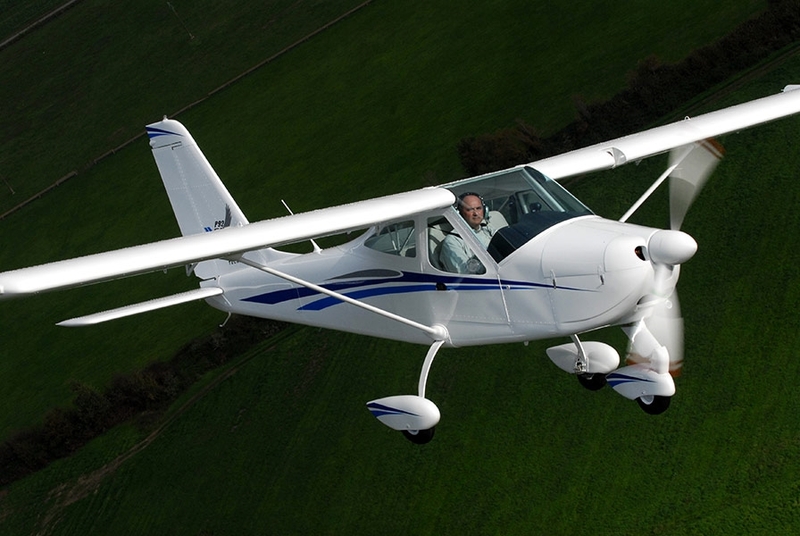 The generous interior dimensions of the Tecnam P92 Eaglet allow maximum space for Pilot and passenger alike. 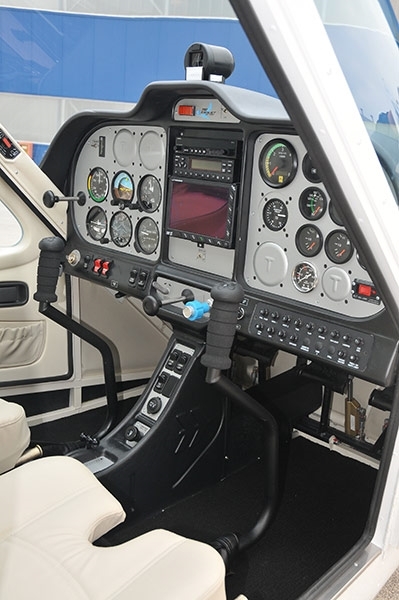 With two wide doors and eco leather seats adjustable fore and aft, the cabin provides great flexibility for pilots of varying physical size to optimize their comfort. 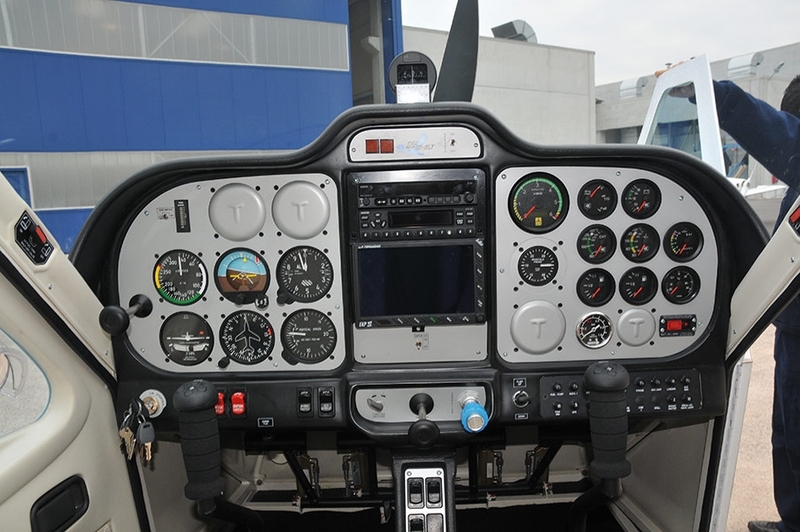 Each seat is provided with a three point seat belt. 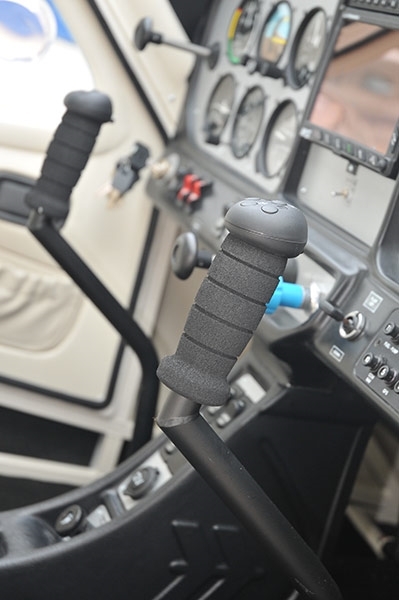 Dual controls come as standard with PTT and electric stabilator trim on the stick with a trim indicator on the panel. 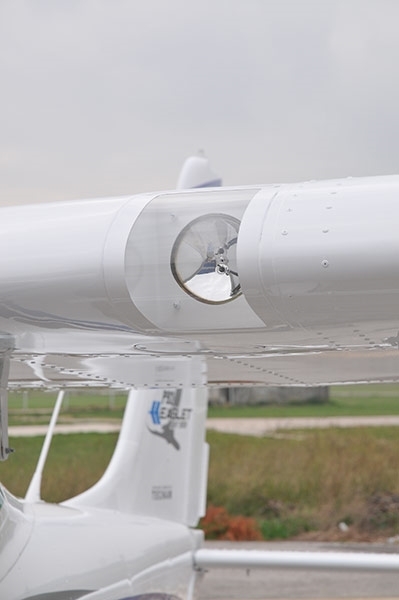 The plane comes with dual conventional rudder pedals with steerable nose wheel and toe brakes. 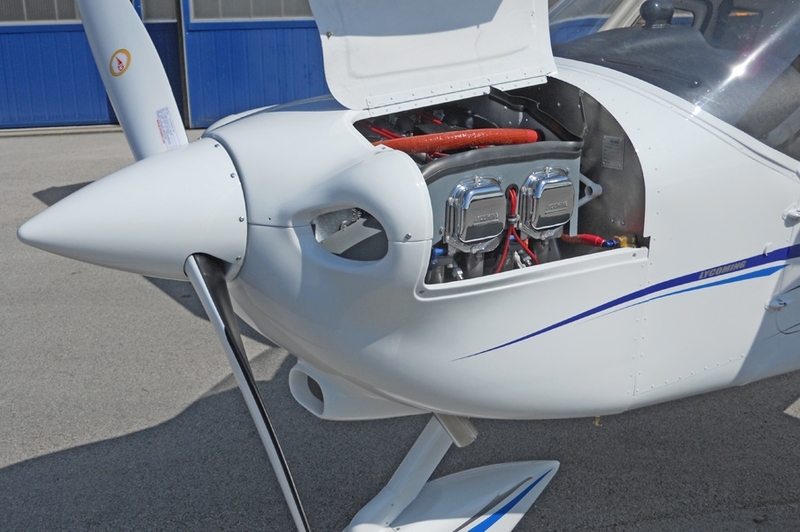 • 12 Volt Alternatorsp20 Amp.